Na na na. na na na, Elmos world! Elmo! 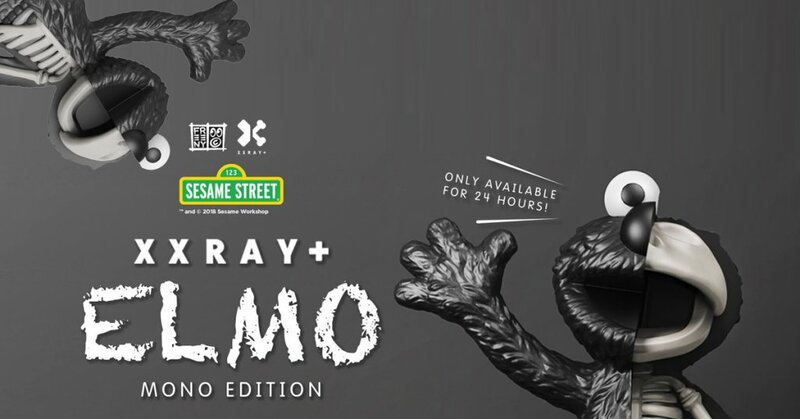 Back at it like a crack addict Jason Freeny x Mighty Jaxx are set to release XXRAY PLUS: 8.5″ ELMO (MONO EDITION) Did you ever wonder what Sesame Streets ELMO looks like dissected? You don’t have to wonder now, as Jason Freeny and Mighty Jaxx have expanded the XXRAY universe with another officially licenced character under their belts. XXRay just grew a few inches. This limited edition art figure will only be available for 24 hours and will not be reproduced ever again. Don’t miss it! WHEN: 25th August 2018 10 pm Singapore time.